Hatched, a creative journey through M.E. 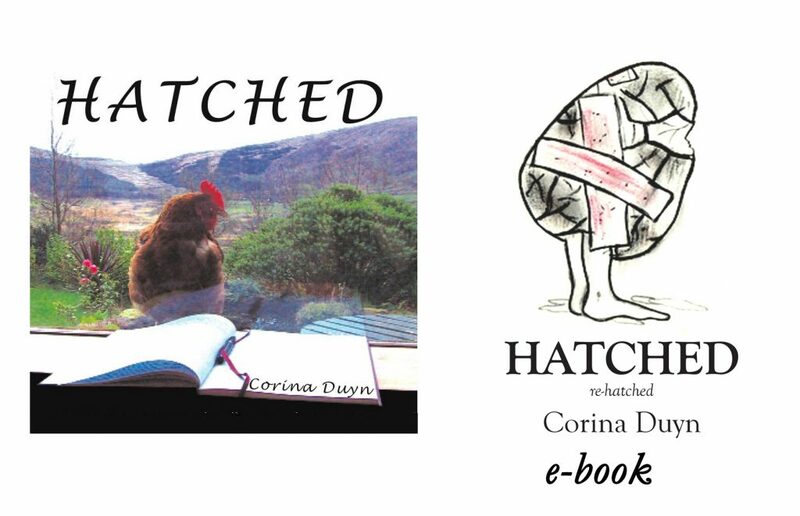 Hatched, published as paperback in 2006, is a distillation of eight years of writing, a process that helped the author artist and writer Corina Duyn to come to terms with a debilitating illness M.E. Her poetry and images allow us to glimpse her sense of humour along with strength of mind. As it is almost out of print, it is available to read for free on this page. (scowl down to bottom of page) or buy one of the remaining copies here. Endorsements for Hatched- a Creative Journey Through M.E.